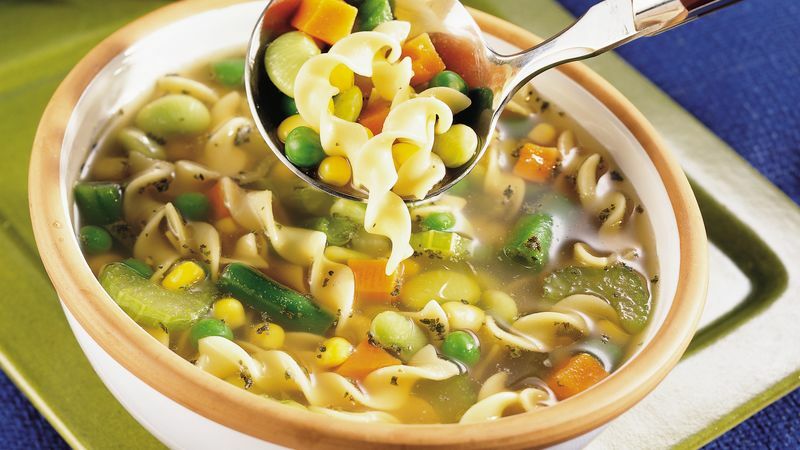 In large saucepan, combine all ingredients except noodles. Bring to a boil. Add noodles; return to a boil. Reduce heat; cover and simmer 8 to 10 minutes or until vegetables and noodles are tender, stirring occasionally.